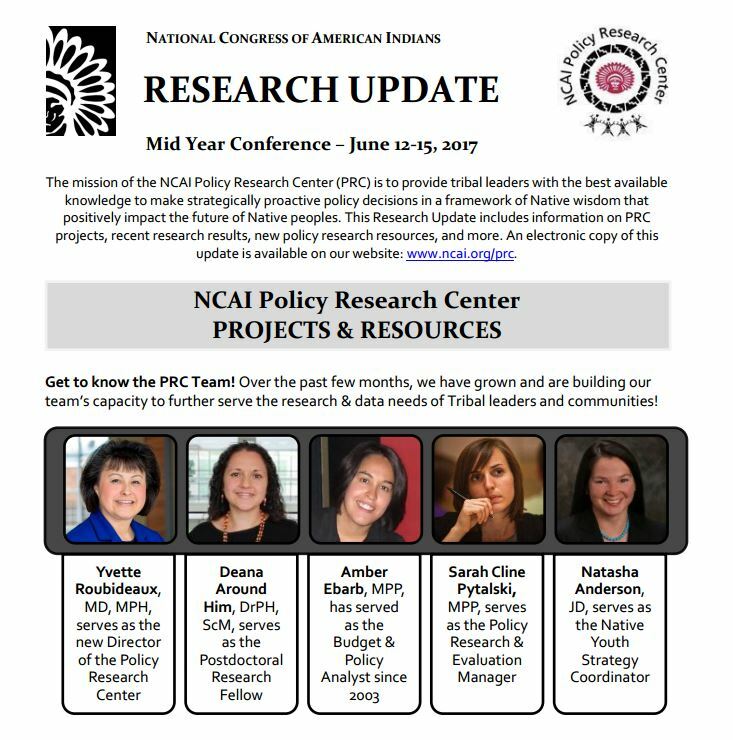 The latest news from the NCAI Policy Research Center! *The following is a newsletter from NCAI. Tribal Leader/Scholar Forum presentations are now LIVE! 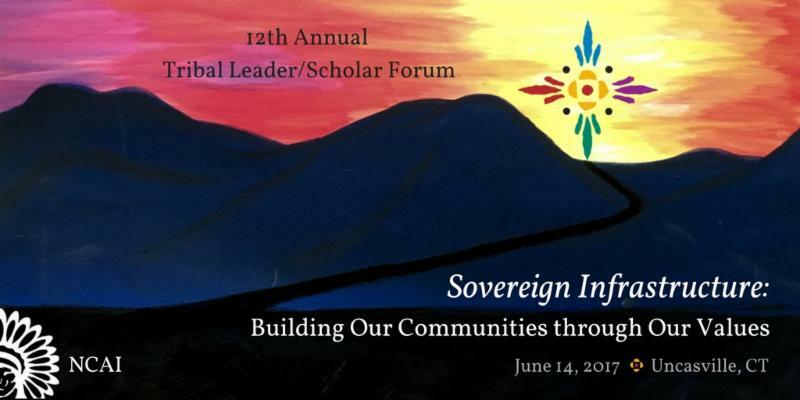 Miss the Tribal Leader/Scholar Forum in Uncasville, CT? Not a problem! You can download agendas and PDFs of the presentations on our website. Click the link below to be directed to our online archive! We have a new team at the Policy Research Center and we would love your input on how we can best fulfill our mission! Please take 3 minutes to complete our evaluation! Download our latest Research Update! Each quarter, we release a Research Update to keep our partners informed of our work and the latest trends in research. In this issue, we review our newest publications, including a one-pager on how tribal communities can respond to the growing opioid epidemic. We also highlight the latest research on food security, college retention, infant breastfeeding, etc. among tribal peoples and communities. Last but not least, we share new data resources, upcoming scholar forums, and funding opportunities! Time to enact Tribal Research Laws & Protocols! 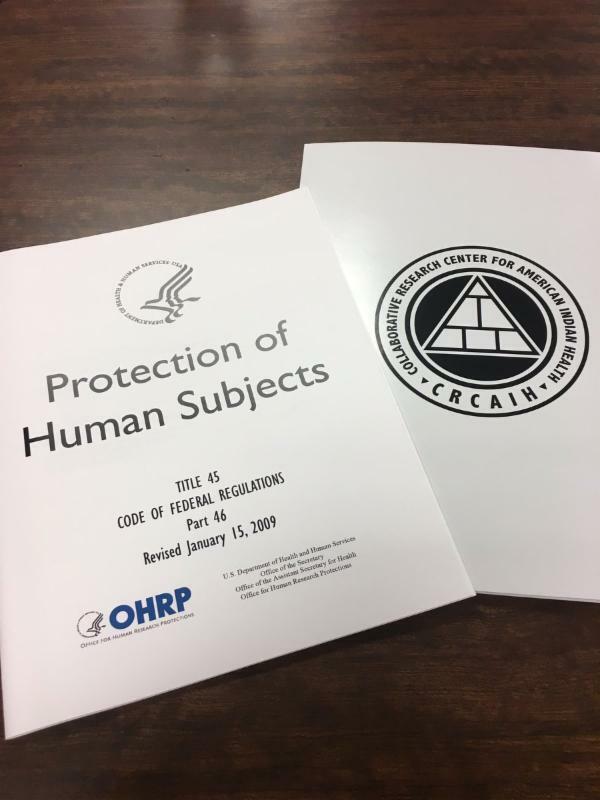 The Policy Research advises tribes to review their current research laws, or consider the development of new ones, in light of recent revisions to two major federal research policies, the Common Rule and NIH single IRB policy. This is an opportunity to advance sovereignty over research on tribal lands and with tribal citizens. Dr. Nicole Bowman contributed to Population Guidelines for Native American Populations (CA Reducing Disparities project). The report was submitted to the CA Office of Health Equity.